“The Oxford & Cambridge Rowing Match at Henley on Thames” by landscape painter William Havell. The painting is from the Thomas E. Weil Collection, River & Rowing Museum in Henley-on-Thames. 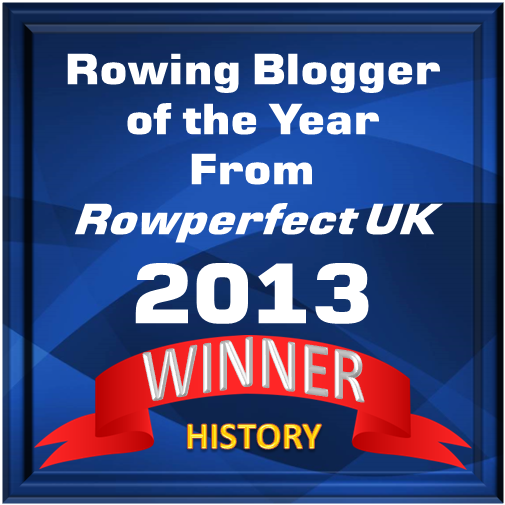 One of the most important letters in the history of rowing? In the 1960s, the Swedish Royal Postal Agency [in Swedish: Kungliga Postverket], founded in 1636, ran an advertising campaign called ‘Ett brev betyder så mycket’, which in English would be something like: ‘A letter means so much’. The purpose, of course, was to get the Swedes to write and send more letters and postcards. Since then, a lot of things have changed. These days we communicate in other ways, with our mobile phones, which we don’t use to call each other on, we send e-mails, texts and Tweets; we Snapchat, post messages on Facebook and Instagram and send messages via WhatsApp – and use other social media ways, which I’m too old to know anything about. Personally, I have always been fond of sending and receiving letters and postcards. 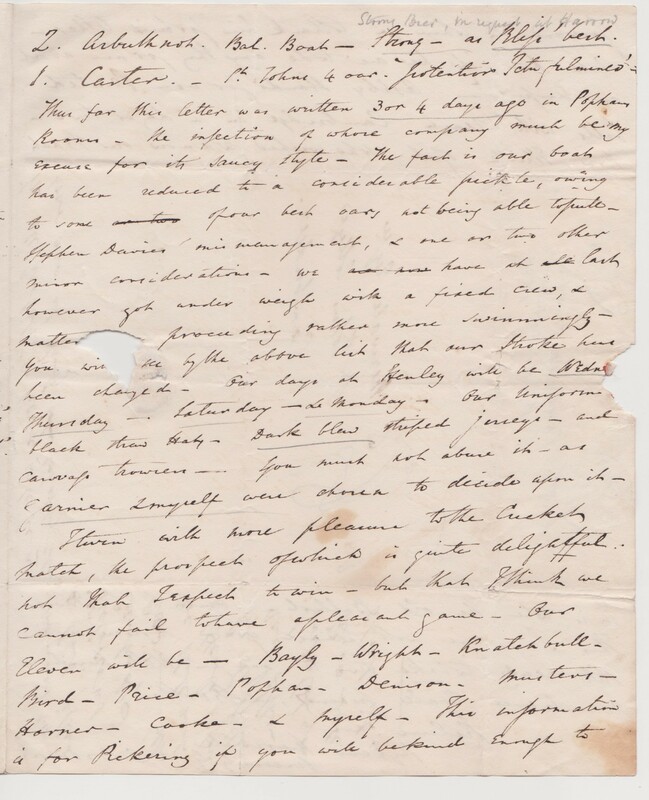 One of the most important letter correspondences in the history of rowing must be the letters exchanged between Charles Wordsworth of Christ Church, Oxford and Charles Merivale of St John’s College, Cambridge in 1829. 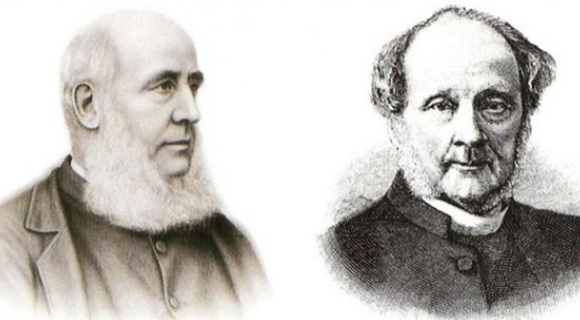 Wordsworth and Merivale were school chums from Harrow. Charles Wordsworth, who was the son of the Master of Trinity, Cambridge went up to Christ Church, Oxford in 1825. It is said that he was a great cricketer who had been the captain of Harrow’s cricket team. Arriving at Oxford, he became a leading member of the university cricket team. Wordsworth was behind the Varsity Cricket Match between Oxford and Cambridge in 1827 (which Oxford won). In his autobiography, he writes that he also took to rowing and was frequently on the river with his Christ Church friends. At Easter, Wordsworth was invited by Merivale to row with some of his friends in ‘the Johnian Boat’ at Cambridge, and Wordsworth befriended two other members of the crew, G. A. Selwyn and W. Snow, both of whom had studied at Eton. 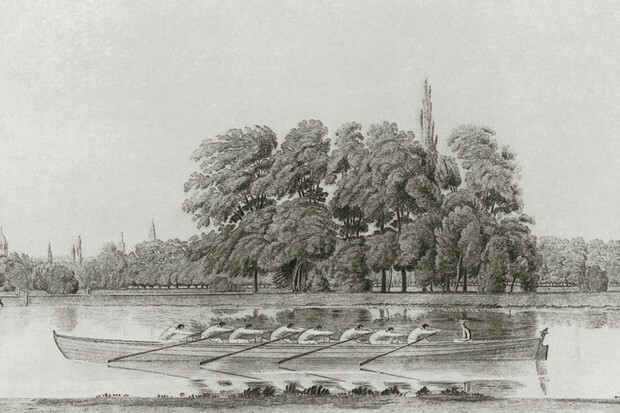 ‘Encouraged by the example of the inter-University cricket match, which had taken place in 1827, we talked over the possibility of getting up a similar competition in rowing,’ Wordsworth wrote. 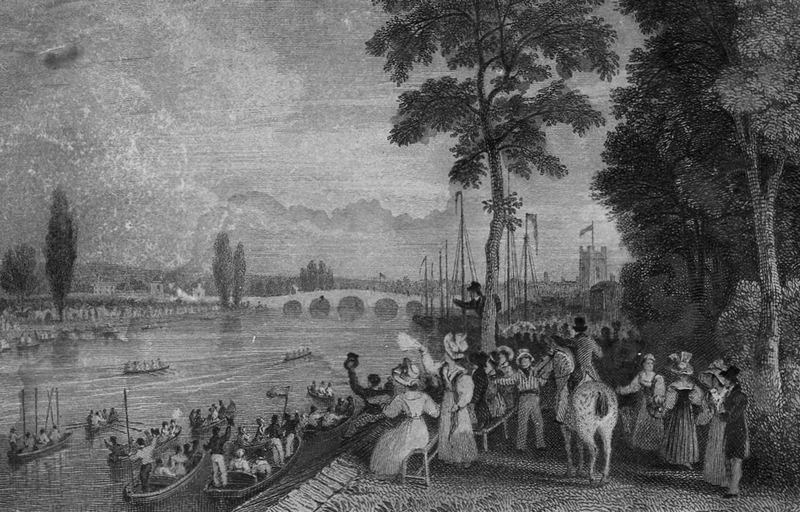 After a correspondence between Snow, the stroke in the St. John’s boat, and T. Staniforth, the captain of Christ Church Boat Club, a race between the crews was set to take place at Henley on 10 June 1829. Thank you very much for your letter. Its imprudence was unparalleled. I do not know which to admire most, its direct assertions or occult insinuations. The very supposition of my being in our boat here quite rejoiced you. Allow me to assure you of the truth of the report. But this is not the only bone I have to pick with you. The sufficiently candid manner in which you talk of ‘lasting us out’ (!!!) amuses me so much, that I am ready to die with laughter whenever I think of it. My dear fellow, you cannot possibly know our crew, or you would not write in such an indiscreet manner. As we all know, Oxford won the first race. The Oxford crew of 1829. Now, Moss is not just going to sit on this letter. 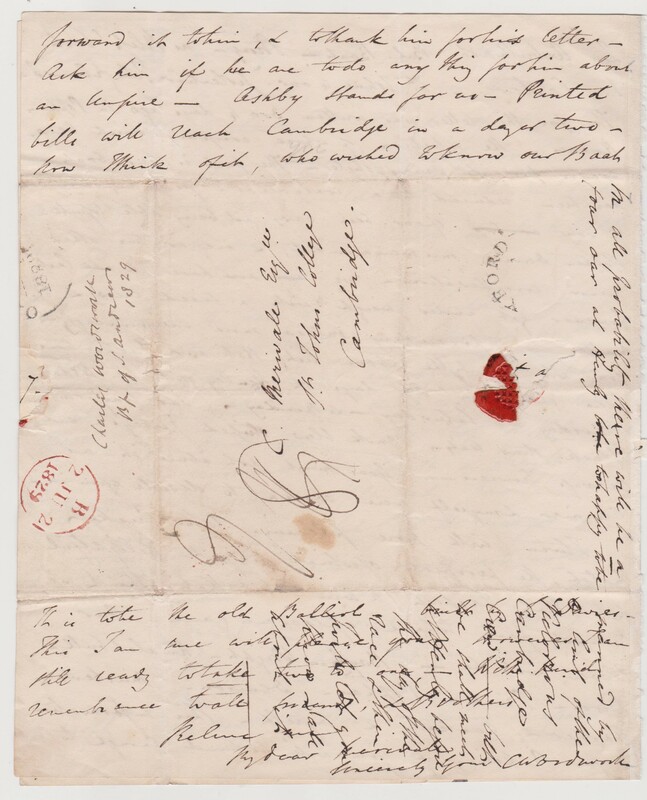 On 3 June – almost 190 years since it was written – the letter is going up for auction at Graham Budd Auctions, who is a leading auctioneer of sporting memorabilia. The auction is going to be held at the saleroom at Sotheby’s in Bond Street, London. At the time of writing this article, Graham Budd Auction was still open to take entries for the auction on 3 – 4 June. Closing date for entries is 29 March. 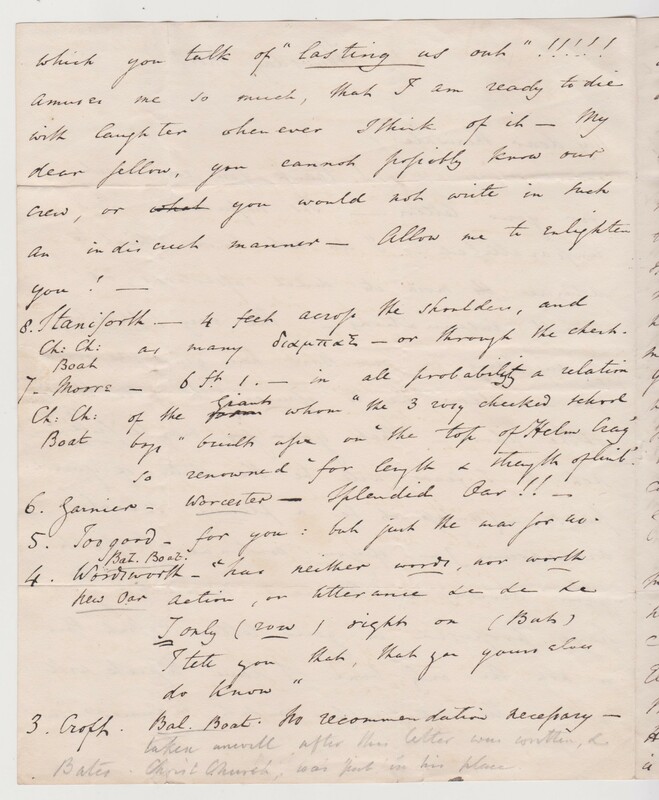 ‘However, I am still ready to take two to one.’ It is not believed that Merivale accepted the odds laid by Wordsworth. Some newspapers reported that it was a match for £500 a side, which Merivale denied in a letter to his mother. 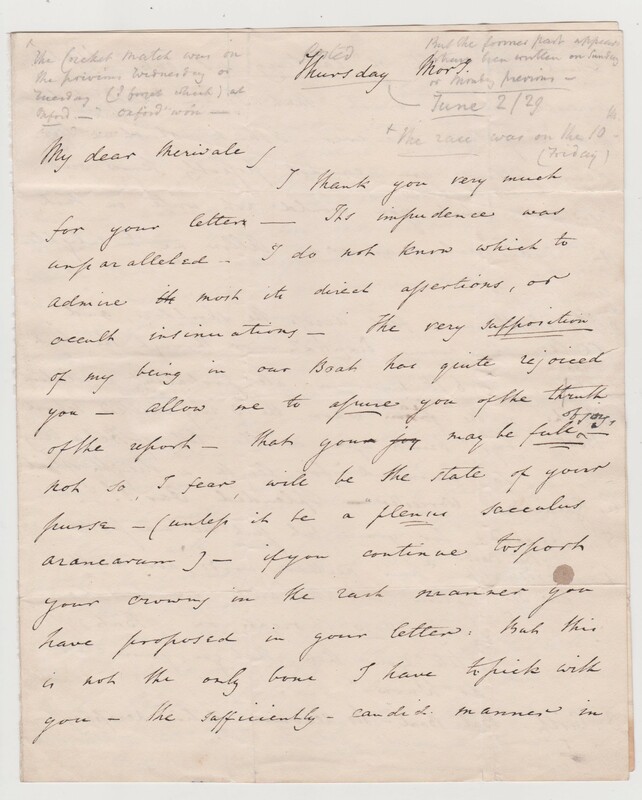 (19 April 2019) Update: The letter will not be auction off by Graham Budd. It has been sold privately to a museum. The appropriately titled Rev Toogood was not only too good for Cambridge, but also held the record for the heaviest man in the Boat Race for over 130 years until it was broken by Boyce Budd of Lawrenceville, Yale and Cambridge in 1962.